So to conclude the journey through Legend factory, here is a look at the process for a hand made carbon frame from Legend. The emphasis on quality of raw materials, sophisticated process and finish are once again evident. All of the frames are made to measure. Once the bike fit geometry has been established, Legend use pre-preg carbon (carbon imbued with resin bond within the weave – so no addition of resin) which is cut to size and assembled by hand. The ‘know-how’ to construct the frame, the dedication and patience to form and shape the frame and lastly the equipment to ‘cure’ the construction (the setting process) is labour intensive and establishes a level of refinement that Legend is reknown for. 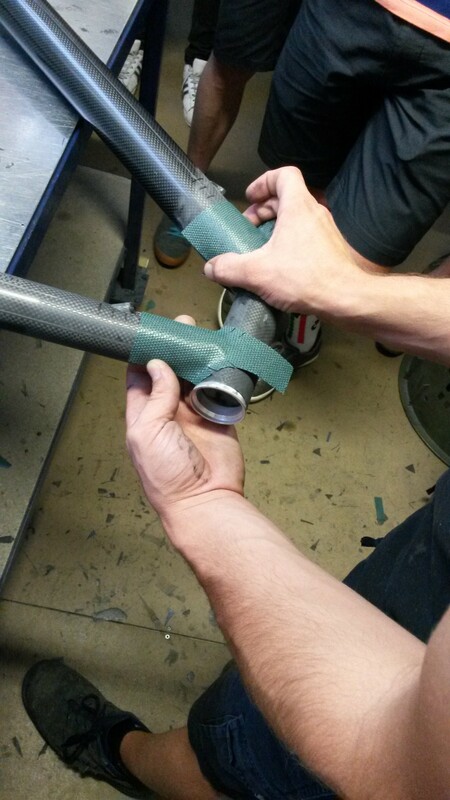 The carbon is applied in progressive layers to build strength around the joins (hand made lugs). The process of hand making these frames ensures they are meticulous in the build process. The balance of resin in a frame is crucial – ensuring sufficient resin to allow the carbon to bond (form) and eliminating the excess is key to the Legend ‘smoothness’ – that characteristic resilient frame but without a harsh/stiff feel. Pre-preg carbon is essential to this procedure and it is only used by the finest frame manufacturers. 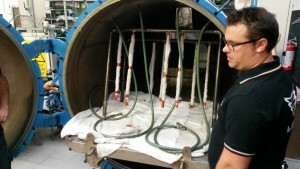 The curing of carbon and resin by Legend is done within an autoclave – this machinery is akin to a pressure cooker. Resin acts as a bonding agent and when it dries it hardens like toffee – stiff and brittle – offering undesirable characteristics in terms of durability and ride characteristics for a bicycle. So for the finest construction process, sufficient resin is needed to enable bonding whilst removing any excess to avoid these detrimental aspects of ‘toffee’. 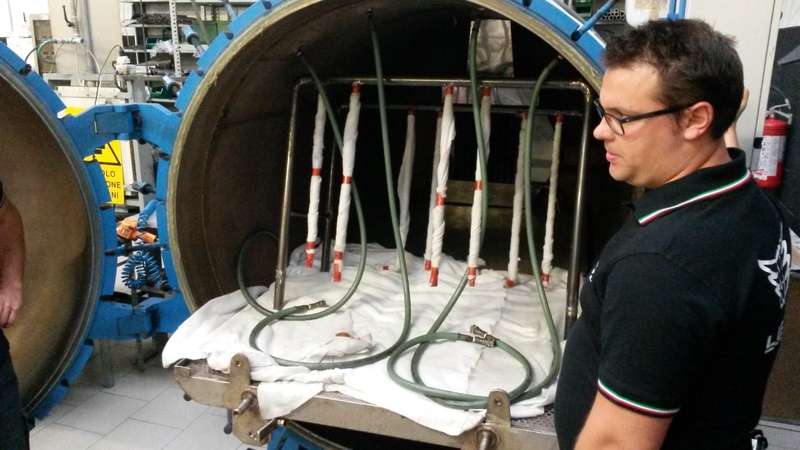 An autoclave offers this process – heat and pressure are regulated to control the bonding process whilst extruding excess resin. This is a sophisticated, relatively expensive and time consuming process which only a truly bespoke, artisan bike builder like Legend, dedicated to producing exemplary products can offer.